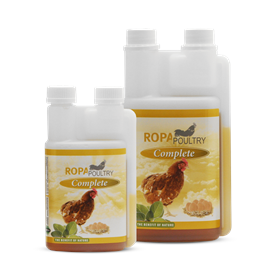 Poultry keepers around the country swear by Apple Cider Vinegar (ACV) as a way to keep their birds healthy. 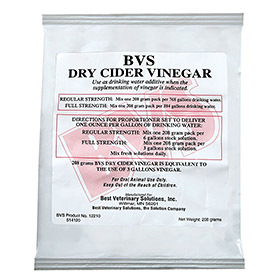 This powdered form is super inexpensive -- it makes 6 gallons stock solution of ACV, which in turn provides enough additive for 768 gallons of drinking water -- so it's a tremendous value! 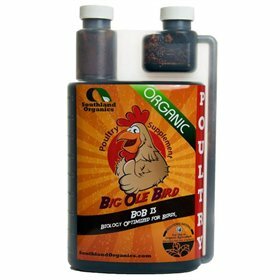 Learn about the various ways chicken keepers use ACV in this CommunityChickens.com article.